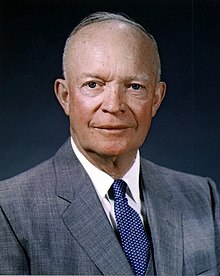 ↑ "Study guide on Eisenhower and religion" (PDF). Eisenhower Presidential Library. p. 1. สืบค้นเมื่อ August 16, 2017. ↑ Fenton, Ben (September 27, 2003). "Macmillan backed Syria assassination plot". The Guardian. สืบค้นเมื่อ March 7, 2018.